The details aren't being made public but city council will be asked next Monday to approve the city's negotiating position for a new arena in Victoria Park. 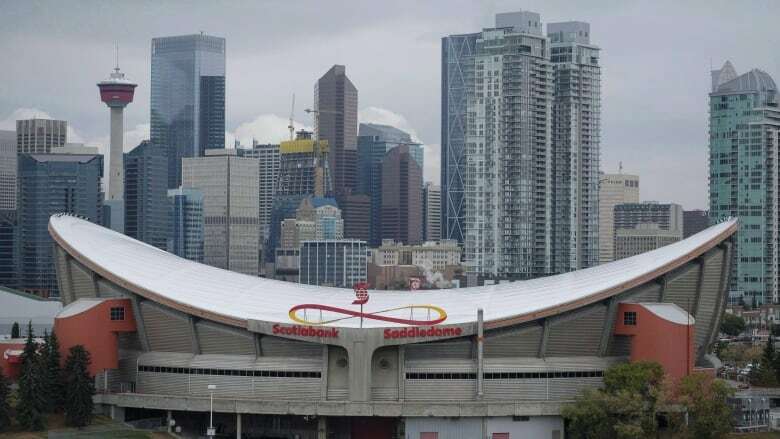 The details aren't being made public, but Calgary's city council will be asked next Monday to approve the city's negotiating position for a new arena in Victoria Park. Committee chair Coun. Jeff Davison said if council approves the strategy, talks with the owners of the Calgary Flames could start as soon as possible. "That's not to say that these things happen overnight. I mean, obviously, there's a lot of work that would still have to happen behind the scenes. There's a lot of documentation that has to go into deals like this," said Davison. Davison said the city has a number of sources it could tap, not just for an arena but also for some of the other major projects the city is considering. That list includes a major expansion of the BMO Centre at Stampede Park, a renovation and expansion of Arts Commons and a new fieldhouse. When asked if the potential sources of cash would mean no property tax increase for Calgarians, Davison said: "That's correct." The committee did not disclose any of the parameters of the city's position. It will be presented to all of city council next week in a private briefing. If council likes what it sees, then more closed-door talks will take place with the representatives of the NHL team. "This is a negotiation with a partner, so there's third party involvement. It's just privy to confidentiality," said Davison. During the committee meeting, the head of the Calgary Municipal Land Corporation (CMLC) reiterated work that has already taken place on the project. Michael Brown said there has already been significant public engagement on the vision for the culture and entertainment district in Victoria Park. He said other sites were looked at for a new arena but the best location is in Victoria Park. He also said that CMLC consulted with two major contractors, who confirmed the arena could be built for $600 million. Brown added that that price tag would not include the land the city could contribute for the facility nor the cost of demolishing/converting the Saddledome once the new arena is open. While the cost of any potential public investment in an arena project wasn't revealed, Davison said the city's position ensures the investment is justifiable. Brown agreed, saying the arena and the BMO expansion will be catalysts for private investment in the area. These would be buildings that would generate tax revenue for the city from land that is currently sitting empty. "We (CMLC) aren't successful if we don't attract private investment. If we don't see hotels built, if we don't see dollars come in from the private sector, to be completely honest, we have failed," said Brown. Without these projects, he said, the timeline for redeveloping Victoria Park would stretch from 10-15 years to 30-40 years. Should city council approve the negotiating position for resuming talks with the Flames' ownership, it would also have to appoint a team to stickhandle the talks. Like the last team at the table for the city, Davison said it shouldn't include any politicians. Talks between the city and the Calgary Sports and Entertainment Corporation collapsed in failure and acrimony in 2017. CSEC CEO Ken King said there were "spectacularly unproductive" meetings with the city and that a proposed arena financing deal was far short of what the Flames owners were hoping to reach. The Saddledome is one of the oldest buildings in the NHL. Nearly two years ago, league commissioner Gary Bettman referred to the Saddledome as an "old, antiquated, inefficient building." Advocates of a new arena say the replacement for the 'Dome will be much more than a hockey rink. Councillors like Davison and Ward Sutherland say it will be a modern facility that will be capable of holding many more types of events than the Saddledome, and even more than one event at a time.